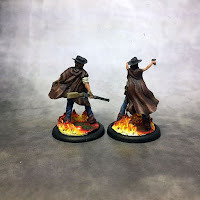 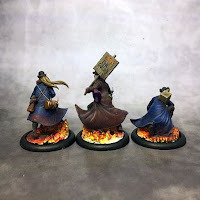 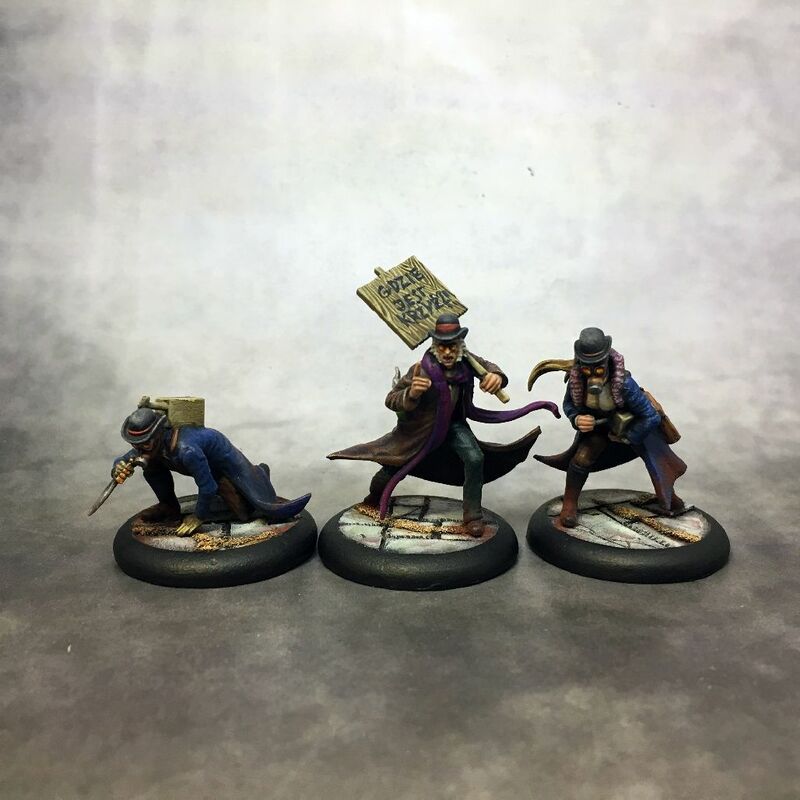 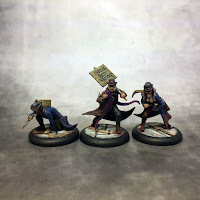 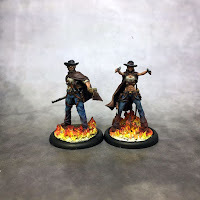 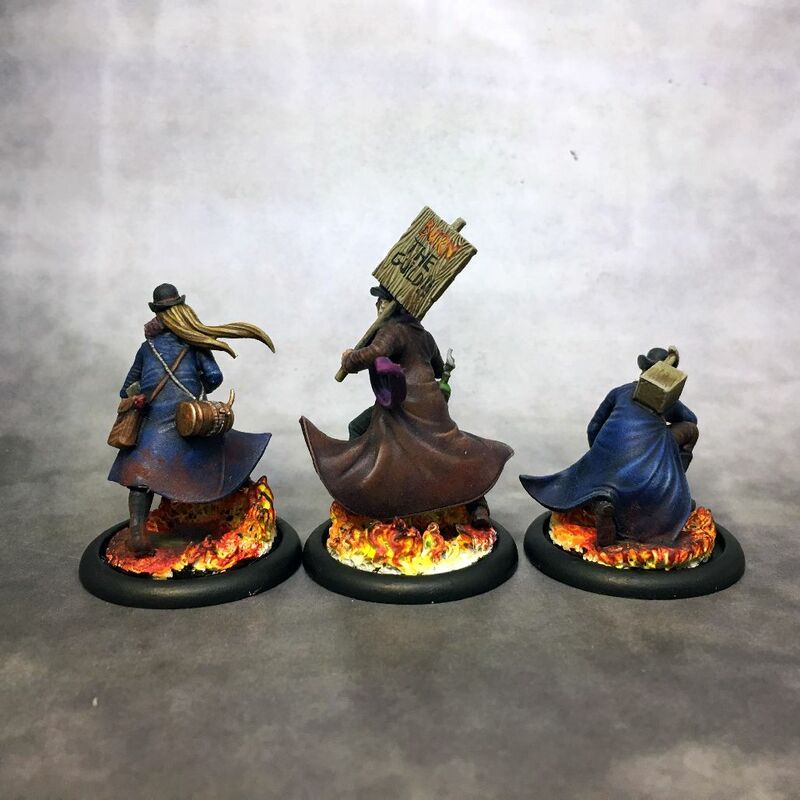 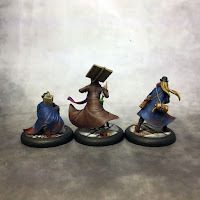 Here are a couple more Arcanist minis I've painted this month. 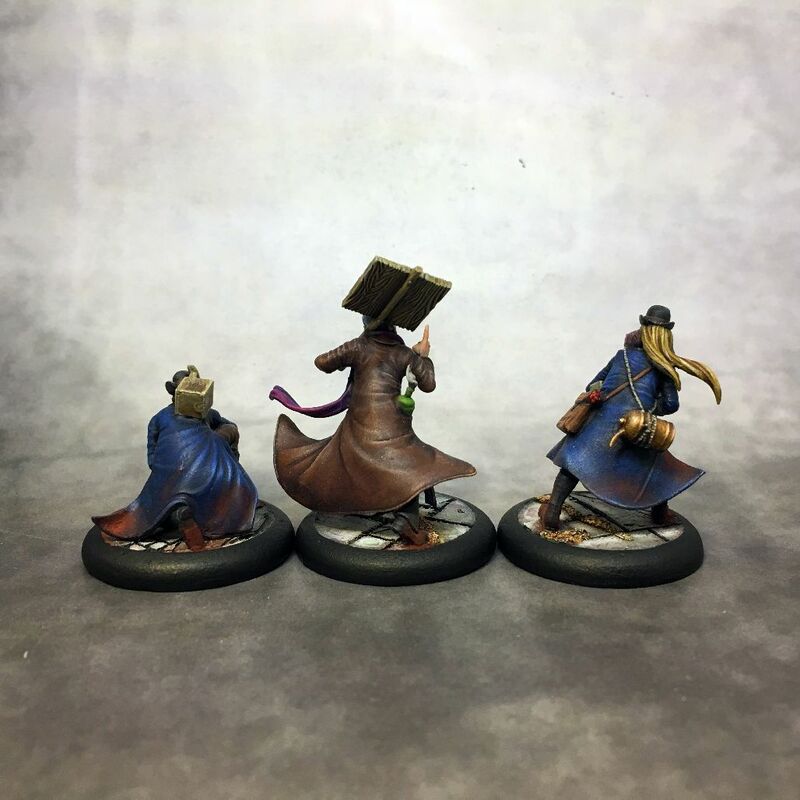 amazing, can you give some info on those bases? 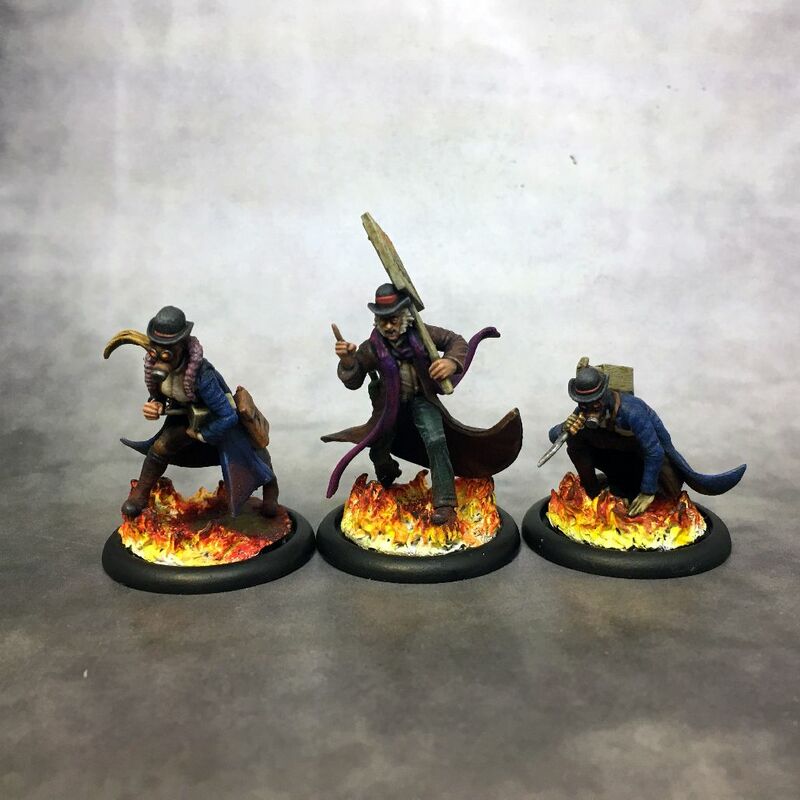 The bases are Clear Yellow Fire inserts from Darkage. 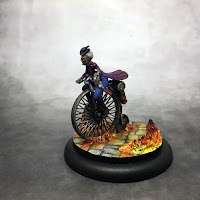 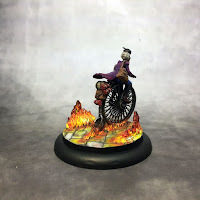 In some cases I ended up using just the flame part on some of the bases and adding more with GS (such as flames around the wheels of Miss Fire's bike).